Facial Rejuvenation Acupuncture is a great way to address cosmetic concerns without the use of harmful methods such as Botox, chemical peels, or cosmetic surgery procedures. Cosmetic Acupuncture may take 5-10 years off your face. It helps to eliminate fine lines and makes the deeper lines look softer. It can also help to minimize dark circles, puffy eyes, double chin, sagging skin, and dropping eyelids. For optimum results, a series of 12 treatments is recommended. Most patients usually observe noticeable changes in their appearance around the 5th treatment. The effects of the treatment will also depend on your age, lifestyle, genetic makeup and diet. This is why maintenance treatments are recommended after the series is complete. 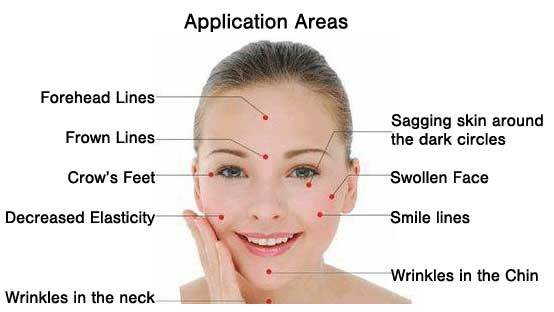 Note: Facial Rejuvenation Acupuncture is not recommended for people who have the following conditions: bruise easily, high blood pressure, migraines, seizures/epilepsy, dizziness, diabetes, pituitary tumours, those on blood thinners, pregnant or have had recent cosmetic surgery (within the last 6 months).